GTA 5: Get the grandest open-world crime story ever made by the masters of the genre for half off. Now $29.99 at PlayStation Store. 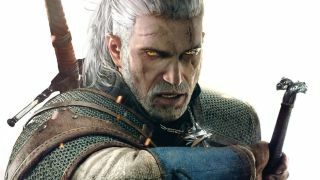 The Witcher 3 Complete Edition: A phenomenal open-world RPG gets even better with its two lengthy DLC expansions bundled in. Now half off for $24.99 at PlayStation Store. Rainbow Six Siege: Ubisoft's unique fusion of tactical combat and level-reshaping destruction has defied expectations and kept players coming back for nearly a year. Now $24.99 at PlayStation Store. Overwatch Origins Edition: Pick up the team-based, character-driven shooter from Blizzard that's kept players enraptured since May. Now $34.99 at PlayStation Store. Darksiders 2 Deathinitive Edition: If you haven't played the second part of the (possibly still not done) Darksiders story yet, this is the way to do it - with refined mechanics, redistributed loot, and better visuals. And you can get it for 80 percent off, now $5.99 at PlayStation Store. Even if you just pick up the top two, you're getting roughly a jillion hours of entertainment for a little bit less than the standard price for a video game. Make sure to check out the rest of our Black Friday gaming deals for even more fun.